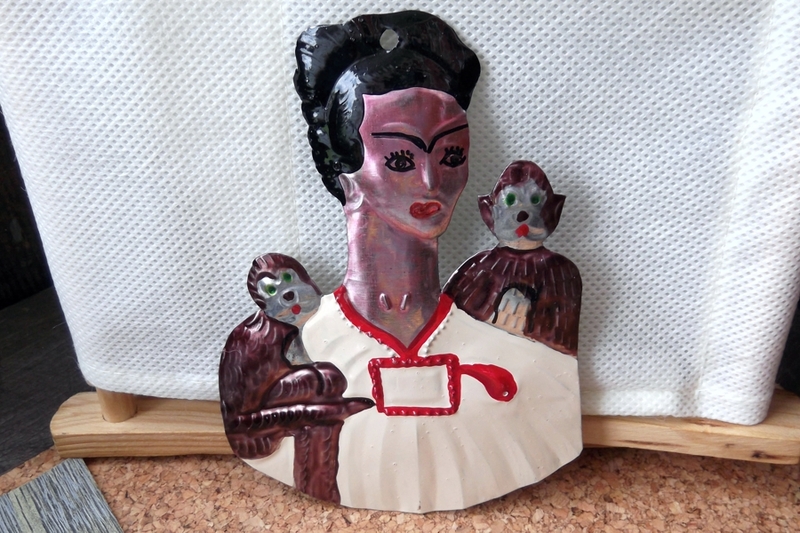 This splendid tin ornament depicts Frida Kahlo, along with two of her beloved monkeys, each perched on a different shoulder. 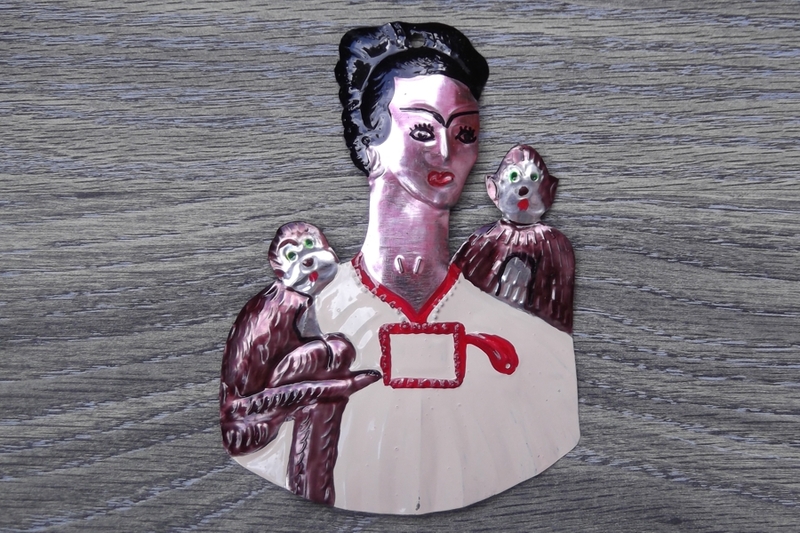 Created by traditional tin artisans in Mexico, these folk art tin ornaments are surely special. The painting of the tin seems primitive, as it should be on such folk art, and at the same time, finely detailed. Each ornament is hand cut, debossed and detailed with color. It measures about 5 inches high by 3-3/4 inches wide (127 mm by 95 mm). 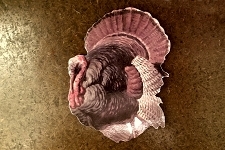 As is the way with hand crafted pieces such as this, each ornament is a bit different with some colors varying. So, please let us choose one for you.